Speed ​​Queen is more than a century old manufacturer of washing machines! 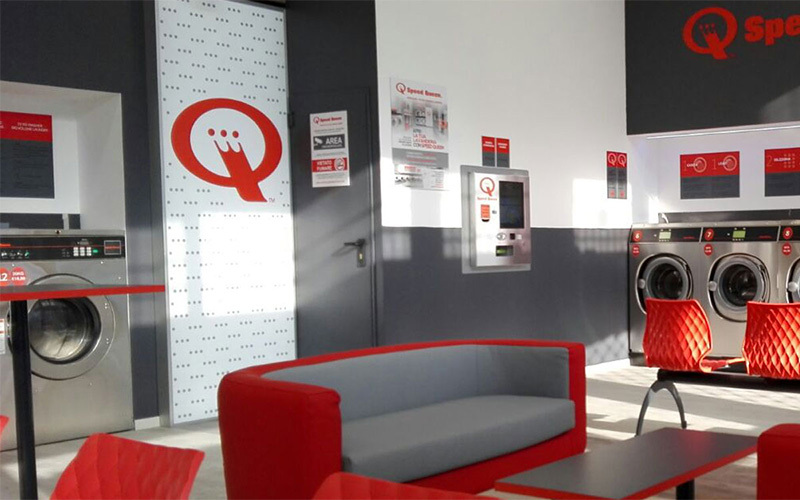 Speed ​​Queen laundry stores are designed to provide maximum comfort to users and continually improve our customers’ user experience. Sleek and modern, our laundry stores are equipped with the best washing machines and dryers on the market. The Speed Queen washing machines in our laundry stores are built to last: the materials used in their construction are also used to make the professional washing machines you find in luxury hotels and industrial laundries. Our washing machines can handle loads varying from 8kg to 24kg. As for dryers, their capacity can be up to 20 kg. Speed ​​Queen equipment enables you to wash and dry large pieces of linen in record time and at an affordable cost. Wash 20 kg of laundry at one time, compared to 5 kg with a domestic machine. Thanks to our laundry stores, our customers can wash their linen in the space of one hour, drying included, as against 1h30 at home (without drying). A domestic drying cycle would last more than two hours! Besides the machines, you’ll find a wide range of services in our laundry stores! Every laundry store is different and some include all or part of these services. The detailed information on each Speed ​​Queen laundry store also tells you if it incorporates a CCTV system and whether there is parking nearby. You can also see what forms of payment are accepted (credit card, loyalty card and/or cash payment) and the prices applied. Thanks to the Laundromat Locator, our customers can easily find the laundry store closest to their home and check the opening and closing times. We design sleek laundries which combine comfort and automation. Each aspect is studied carefully, from the number of washing machines and the corporate identity to the layout of the seating and the dispensers. We work closely with each of our investors to optimize space in their premises and create welcoming places that people will want to come back to over and again.